But that way of thinking is a mistake. In the real world if you are not growing the business you are probably not going to prosper in the long term. Yes, it might be fine for the shareholders, but it is not good for ambitious people working in the business. If you do not grow, you will get overtaken by your opposition. But the question is: how do you finance that growth? Large family firms don’t like borrowing from banks because it puts them at risk. Middle-market firms can’t go to the bond markets like large corporates can. Retained earnings will give you good, steady, organic growth but if you want to get from a £10m business to a £100m one then that means acquisition or overseas expansions. Those investments take time to pay back, and you don’t always get the return as quickly as you would like. Private equity? A lot of big European private businesses run a mile. They appreciate the skills buyout firms can bring, but don’t like giving up control. 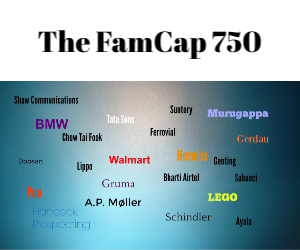 Progressive private equity firms are realising that they have to start speaking a different language, to talk about the business, the people, the legacy, all the sort of stuff that is important to family businesses. Understanding where this business has come from, and where it is trying to get to. But the investment horizon of three to five years is often just not acceptable to family firms. And so increasingly people are turning to alternative funders. Because returns are so poor elsewhere you are seeing clubs of high net worths getting together and putting forward funding – on a pretty unregulated basis, it has to be said. But there is a gap in the market for a new way based on the model that UK private equity investor 3i used to use. They would take a small amount of ordinary share capital which they saw as a long-term investment. They also took a preference share so they get some sort of return on their money and that would have some form of dividend arrangement, then they would make loan arrangements ancillary to it. The company could redeem the preference shares, pay off the loan capital and you would be left with a small equity stub. A private equity firm or other alternative investment company who came up with a model like this would, I think, be hugely well-received by private businesses and help them grow in a sustainable, long-term way that would benefit both them and the families who care about their businesses.